Naans are traditionally baked in a Tandoor or earthen oven. 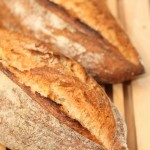 But making them yourself, using your own oven can also lead to very satisfying results. It’s so much fun seeing them puff up after you ‘trow’ them on a hot stone or wired rack. 5 minutes later and you are already enjoying your homemade flatbread! 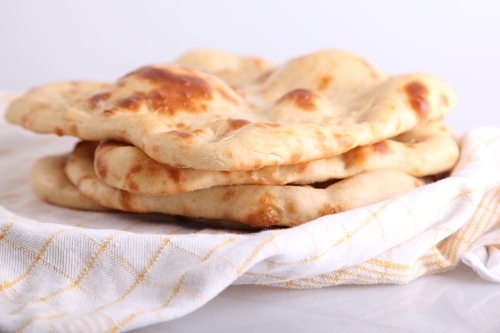 Try this basic naan recipe and see how it works for you. After that, you can try adding other ingredients, spices like cumin and coriander seeds, fillings with almonds and raisins and so on. I really love this style of bread making, also because it gives instant gratification, to counter balance lot’s of other breads we make that take 2 to 3 days. *Ghee is clarified butter that originated in India and is used in South Asian and Arabic cuisines, traditional medicine, and also religious rituals. We make this dough 4 hours in advance to preferment because this adds extra flavor. And this way you use less yeast to begin with. If you do not have the time to do this you can use more yeast (e.g 7g yeast and approx 1 hour of resting before you go to the next stage). The dough is made by mixing the ingredients (except for the butter, which is used for brushing on later) for 4-5 minutes. Place the dough in a greased bowl, cover with clingfilm and leave to rest for 4 hours or approx 1 hour depending on the amount of yeast used. For the next step you divide the dough in 4 or 6 equal parts (depending on the size you want) and shape it into balls. Brush the balls with the butter or ghee. Cover and leave to rest for another 15-20 minutes while you preheat your oven as hot as possible, some go to 250°C / 480°F, but if yours goes to 300°C / 570°F, that’s even better. Make sure the stone or rack is also in the oven while you preheat it, because you want your bread baked directly on a hot surface. Now take a ball of dough and gently stretch it to an oblong shape (see pictures) and throw it in the hot oven..please be careful! See how it puffs up and take it out after 4 to 5 minutes. Brush again with melted butter or ghee and wrap in a cloth to keep soft and warm. Repeat the process with other dough balls. Enjoy! Tip: Also lovely from time to time is a Peshwari naan, filled with a mixture of ground pistachios or almonds, raisins and sugar. Great to read your comment. Yes, you need to give it a few tries to get it right for your taste and conditions. We are always on the lower end of the scale when it comes to salt, and would sooner add some spices than extra salt. We think somewhere between 8 and 8.5 grams salt will be to your liking. I’ve made this recipe loads of time before and it always works brilliantly. However I need to make vegan naan this weekend so I’m going to try substituting vegan yoghurt for the milk. I hope this will work? Depending on the thickness and viscosity you may need just a bit more or less (we do not have experience) but we expect it will be (almost) a 1 for 1 replacement. Hope it will be great! It worked really well. I had proved them for a fair while because the kitchen was cold but they came out virtually the same as the non-vegan ones. Thanks Lesley for sharing this, great to know for us and other bakers! 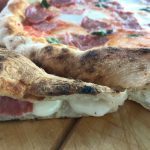 Could this be converted to a sourdough naan recipe? This naan looks like a fun recipe for my kids and I to try out. Every Sunday they help me bake for our dinner. It seems like watching them rise will add to the fun. Also, we’ve never made naan, but we like trying out new recipes. Thanks for sharing! Your website is great, it is informative and beautiful! It made my baking much better. and after a short time, turning the skillet to finish baking. Be careful and use tongs if the bread falls on the gas stove range. It comes out like a naan baked in a Tandoor, charred yet soft (and reduces the energy use). Good tip! Next time we will test the skillet way! I’ve had good results using a cast iron frying pan in a gas oven with a high output broiler in the oven cavity. I put the frying pan in the oven, upside down, with the shelf adjusted so that the bottom of the pan is about five or six inches from the broiler flame. Then I heat the oven to the highest temperature available and switch to broil, heating the pan even more. Tandoors are pretty hot, and this gives you a surface to bake on that is similarly hot. When I was ready to bake a naan, I’d quickly open the oven, pull out the rack with the pan on it, drape the naan dough over the palm of one hand, sprinkle some water on the naan, and with a flick of the wrist, flop the naan down onto the pan; then I’d slide the pan back under the broiler. (If it doesn’t land quite right on the pan bottom, too bad– it can’t be moved. But it will still taste good.) It is important at this point to watch the naan bake, because it can burn in seconds. In 90 seconds or two minutes, when it looks done and some of the parts which have puffed up are beginning to blacken, I pull the rack out again and remove the naan with a spatula. (A long, narrow spatula makes this easier. The bread will stick a little, but is easy to break free.) Because this process involves high temperatures and very fast baking, it is essential not to get distracted and to be very careful. Oven mitts are helpful. I hadn’t seen the video that Abraham suggested; whether the approach in the video or my oven/broiler approach is easier is hard to tell– they seem to get similar results. I would guess the video technique would work better with an electric stove. Thanks for the tip. In the Netherlands most people have electric ovens, but the lucky ones with gas ovens can use this tip! Does this bread keep well in the freezer? Thanks. To be honest with you naan is the one type of flatbread we most like to eat fresh. Pita and these kind of (pocket) breads are easy to defrost and put in the toaster for a quick pick-me-up for example, but with naan that is less easy, also because of the shape. You should just try it yourself sometime and compare it with freshly baked ones to see what you think. I was wondering what type of flour you use for this. I read bread flour, and I used “volkoren tarwebloem” from the Zuidmolen, but that was clearly different from what you used. Yours is much more white. I made mine in the pizza oven (G3ferrari) by the way, that went pretty well. Deze zijn gemaakt met eko tarwebloem van molen de Zandhaas (dus geen volkorenmeel maar de lichtere tarwebloem). Wat een goed idee om de Ferrari te gebruiken al denk ik dat, als je lichtere tarwe gebruikt de kans aanwezig is dat de broden zo ‘oppuffen’ dat ze tegen het deksel of de gloeispiraal aan komen (ik denk even aan onze eigen ‘alfredo’ hier). That is a regular ‘mer à boire’ of chapati, roti and naan! And do you have a favorite out of all those curry recipes? I just love the in-depth description of all your recipes. 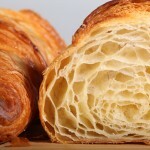 I just chanced upon your website through youtube since I was looking for a recipe to make french croissant. I have to try out your naan recipe. I am sure it will turn out just great. In india we have different kinds of naan. There’s garlic naan, where we add 2 tsp of minced garlic after the dough rises and we lightly knead it in before we divide the dough. Its our indian version of garlic bread. Then there’s paneer naan where we make a filling of panner, green chillies & cilantro/coriander leaves. 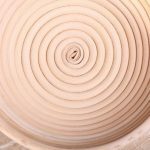 Once you divide the dough, and flatten it to 2 inch diameter circle, add a tbsp of the filling in the centre , close the edges and roll again into a 4 inch diameter circle. Once can experiment with different kind of fillings to suit your palette. I love naans. I am certainly going to try your recipe. Thank you so much for sharing these suggestions Manjula. Very much appreciated and definitely trying them out soon. 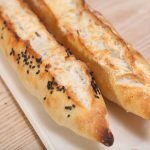 For us this naan recipe gives a great result but we are sure it could be that it is not that authentic of course (plus we do not have a tandoor oven which gives it that something extra you cannot recreate in your normal oven). Hope you will like the croissant recipe because with that one we surely know from experience and visiting the country what a croissant should look and taste like and how we like it best ourselves. Naan bread is a favorite of mine. But I always thought that I need a pizza stone to make it or a special oven. I’ll try this for sure! You often see this choice between milk and yoghurt in recipes for Naan, sometimes even just with water. 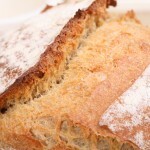 The best thing I learned more recently was keeping the bread soft and warm between cloth (tea towel). It’s amazing how long it stays warm. We also love to make our own ‘paneer’ (fresh Indian cheese made with milk and). It’s a wonderful substitute for chicken in curry’s.